Beautiful and small radio with a lovely sound. The cabinet was designed by Ingraham, which would explain the fine maple used and accenting veneers. The cabinet has been refinished using the very finest toning and finishing lacquers, producing a gorgeous luster. The distinct airplane-style dial pointer and gold dial stand out with the new, clear dial cover. 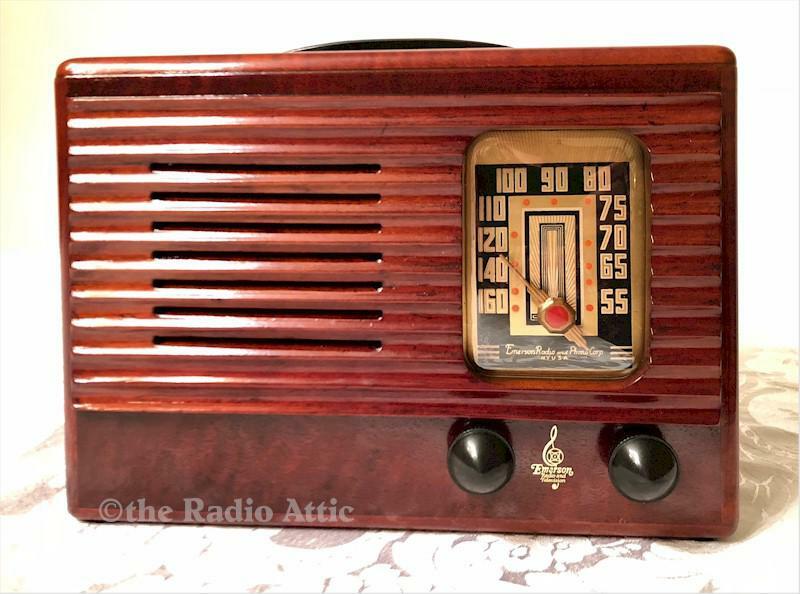 The electronics have been completely restored (no shortcut repairs, internally fused for your safety and has a new polarized power cord), and it plays very nicely on the AM broadcast band, plus I have added an MP3 input so you can also enjoy your own supplied music. This one won't take up much room, as the dimensions are only 10-1/4"W x 7-1/2"H x 5-1/2"D.